Venezuela, officially titled Bolivarian Republic of Venezuela, is a tropical country on the northern coast of South America. It is a continental mainland with numerous islands located off its coastline in the Caribbean Sea. The republic won its independence from Spain in 1821. Venezuela borders Guyana to the east of the Essequibo river, Brazil to the south, and Colombia to the west. Trinidad and Tobago, Grenada, St. Lucia, Barbados, Curaçao, Bonaire, Aruba, Saint Vincent and the Grenadines and the Leeward Antilles lie just north, off the Venezuelan coast. Its size is 916,445 km² with an estimated population of 26,414,816. Its capital is Caracas. Isla de Coche (Coche Island) is one of three islands forming the Nueva Esparta State of Venezuela, located in the Caribbean between Isla Margarita and the mainland. The other two islands are Isla Margarita, the main island of the state, and Cubagua, the smallest. The best months to go to El Coche are from Januari-June. There are only two hotels on Isla de Coche. The climate on Isla de Coche is tropical. The air temperature on Coche Island is 28°C-32°C the whole year round. It rarely rains so its very dry. 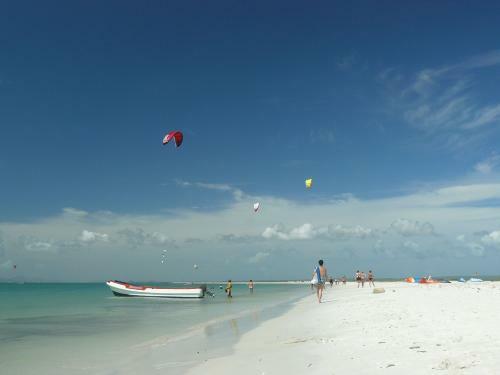 The beach is 2km long and offers a large and safe launiching and landing area. There are no obstacles on this sandy white beach. The beach in front of the all inclusive hotel is reserved for day tourists. Boats and Jet skis around. Make sure you get rescue info before you go on the water, since the wind is offshore. Inofficially the South part is for windsurfers and the North part for kiters. Because of the offshore wind conditions the water is flat. The first 15m are shallow. The water itself is crystal clear and the watertemperature is 25°C all year so you never need a wetsuit. The main direction of the wind is northeast wich is offshore on Play la Punta. The wind is very constant and steady. These trade and thermal winds blow the whole day force 5-6. The best months are January-June. Al facilities you need are available on the spot, like toilets, showers, rescue etc. Because of the offshore wind there are not a lot of downwind opportunities. 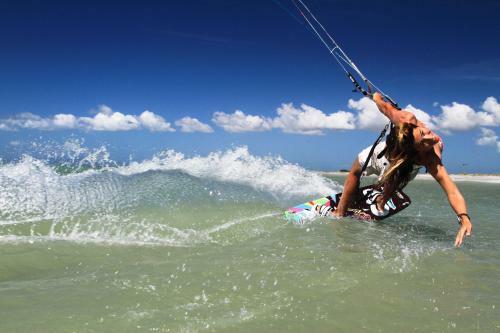 But it is possible to kite from Playa La punta to El Yaque. The nearest airport is Porlamar in Isla Margarita. The nearest town is San Pedro. The trip from the airport to Coche Island is short. 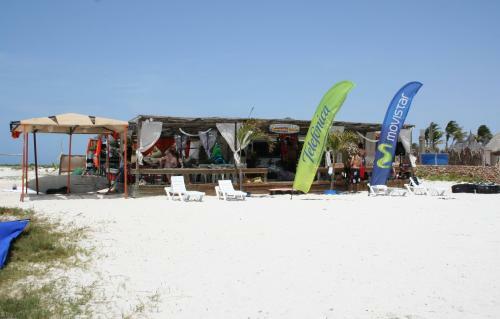 You can take a taxi to El Yaque beach and take a power boat to Coche Island. This boat will drop you on Playa La Punta. From there you can walk to one of the two hotels on the island.